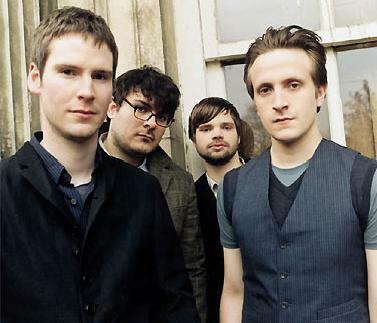 Sunderland's Futureheads have been going a while now. Whilst their obvious highpoints on single both commercially and musically were Decent Days and Nights and their cover of Kate Bush's Hounds of Love, recently they've had a return to form. Self-released album The Chaos wowed the critics and thus got some very good reviews, and this, the second single from that album is pretty good. I Can Do That is unmistakably a Futureheads song. With frontman Barry Hyde's unmistakable Mackem accented vocal and the usual choppy guitars and vocal harmonies it's got their identity stamped all over it. With lots of bands one can get annoyed with the constant churning out of similar songs one after the other, but for some reason, with The Futureheads, it's not so bad. It's not breaking any new ground, but as the saying goes: "If it ain't broke don't fix it". Does Anyone Own A Beverly Knight Record?